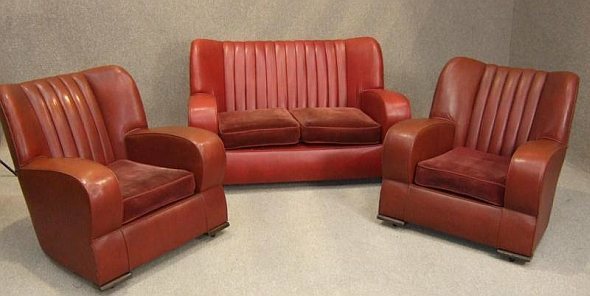 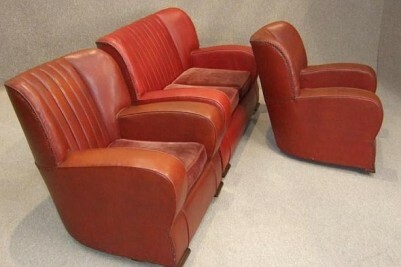 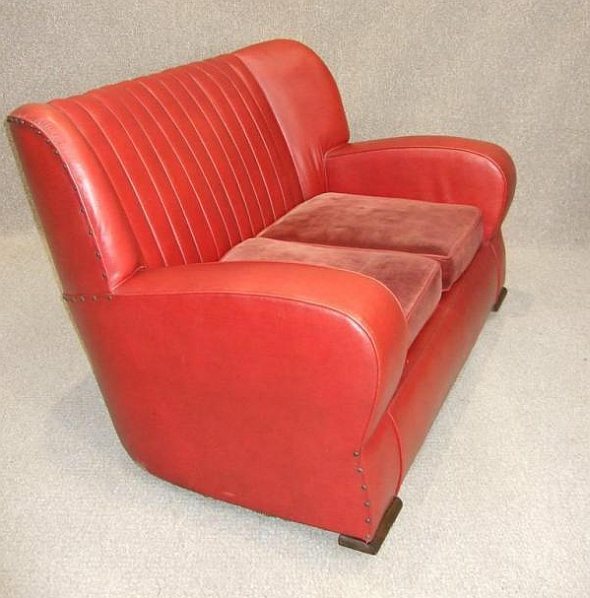 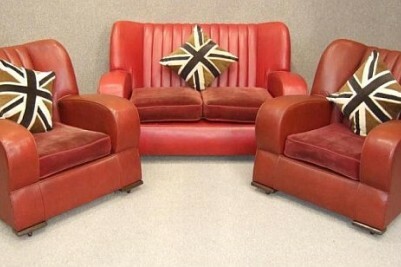 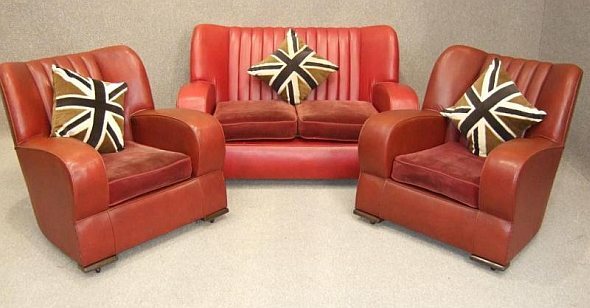 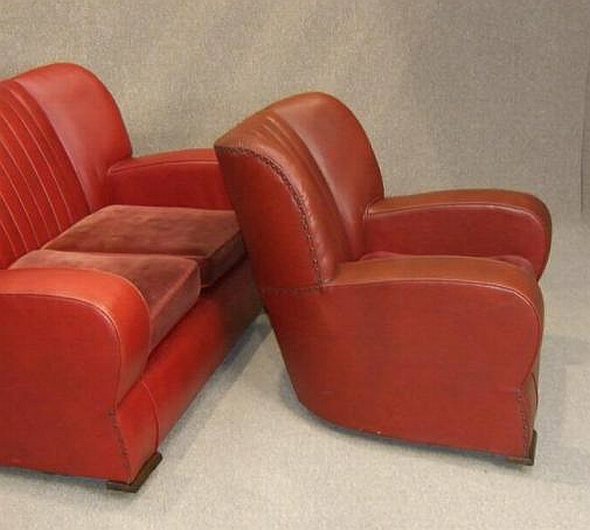 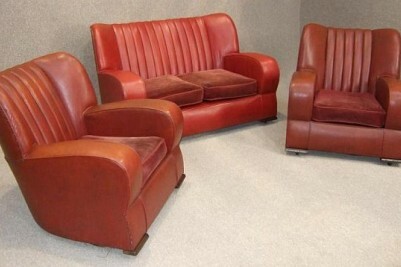 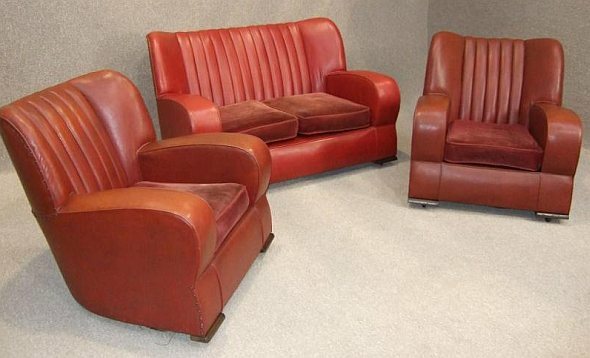 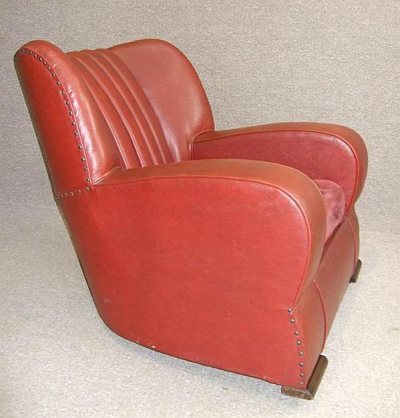 An extremely rare red art deco three piece suite; comprising of an attractive two seater sofa, and two matching armchairs. 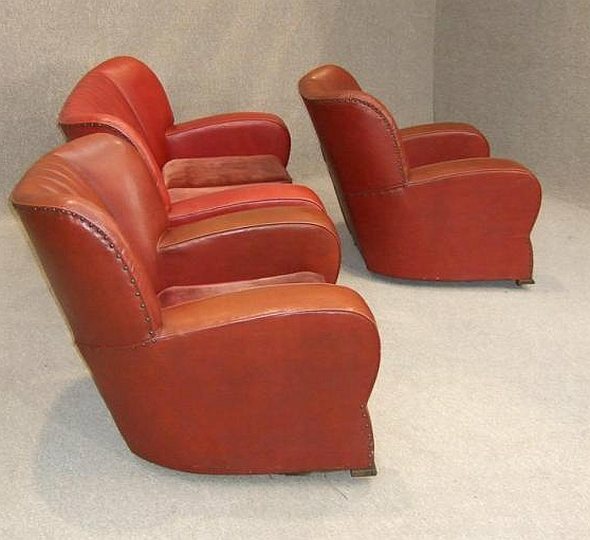 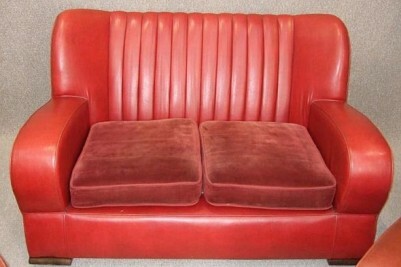 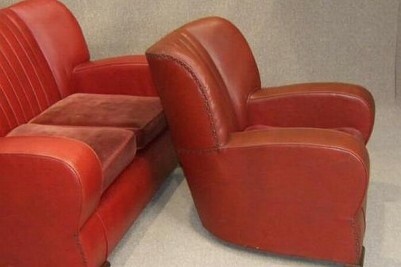 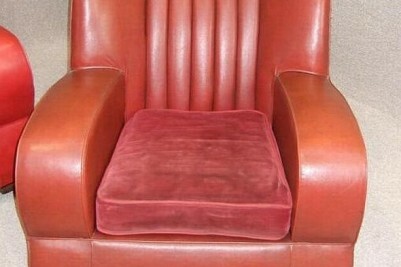 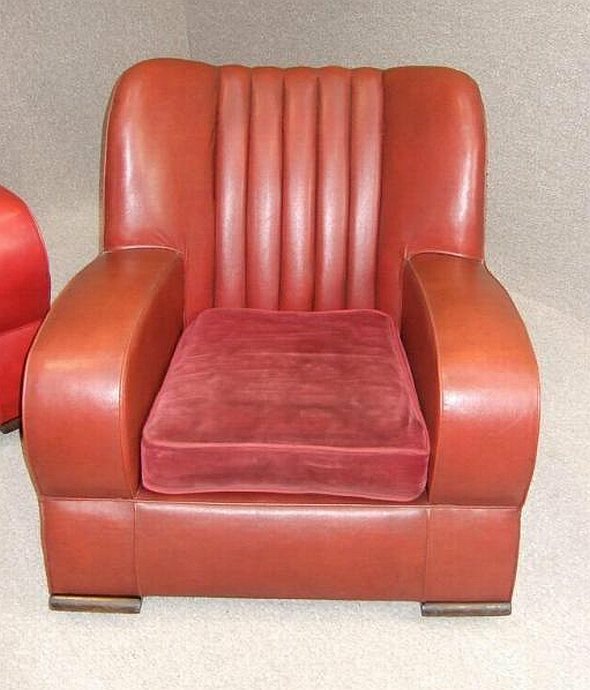 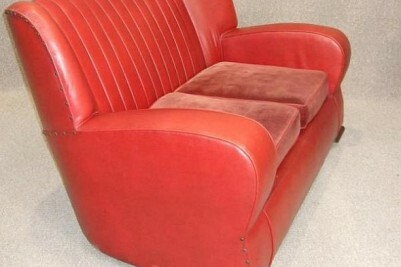 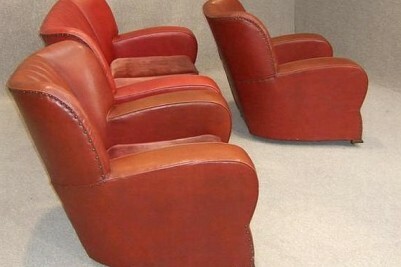 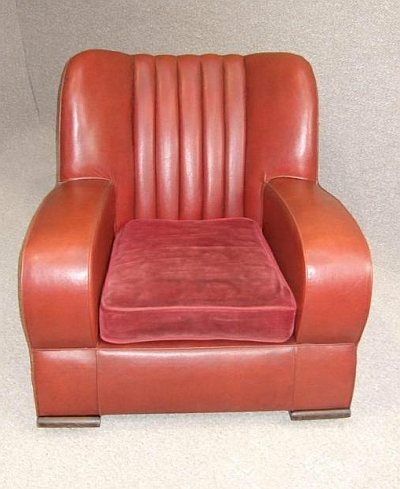 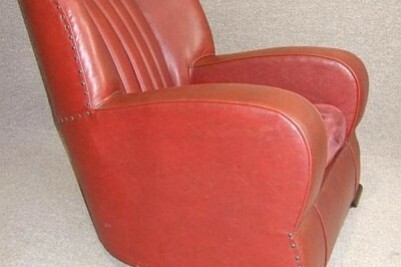 The chairs are covered in a traditional leatherette material, and the cushions are covered in a red velveteen material. 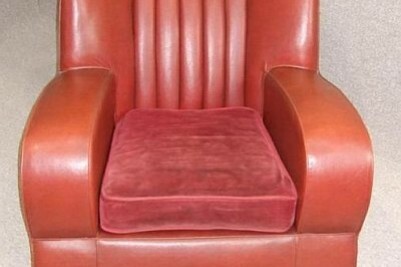 All of the chairs and the sofa are in excellent condition considering their age; with no rips or tears, and still retaining their original castors. 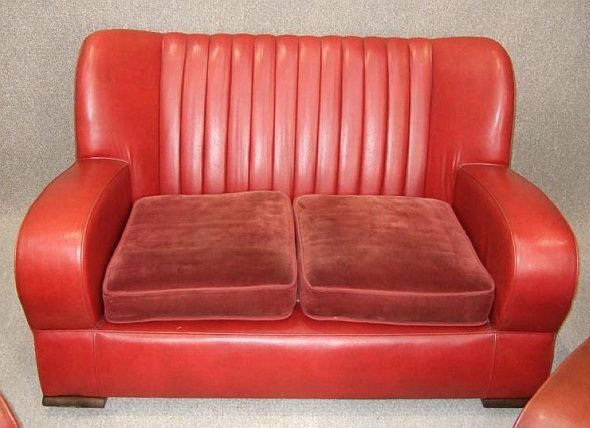 As you can see from the photographs, the armchairs are slightly darker than the sofa, but this is still an outstanding suite. 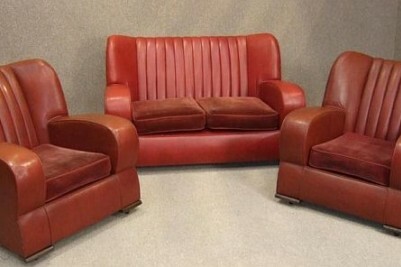 A truly magnificent set for any period living room setting.